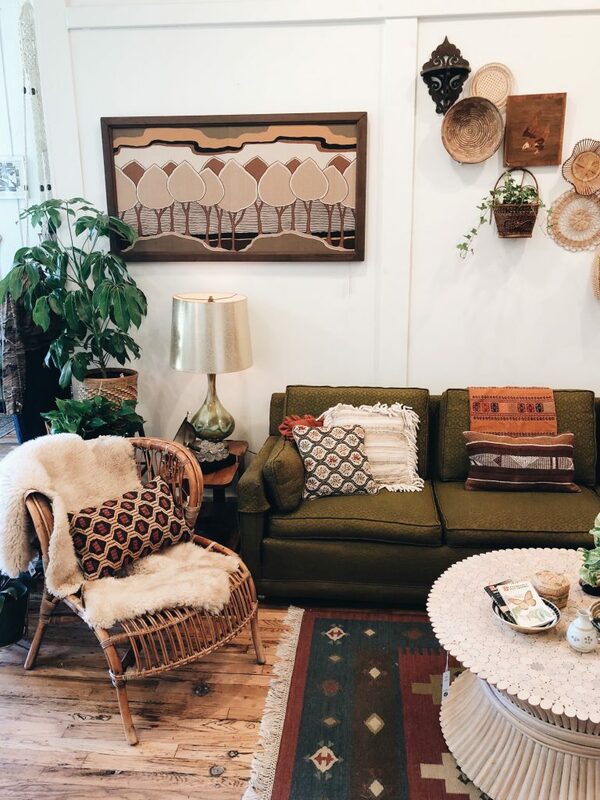 This newcomer near Minnehaha Mile’s vintage scene embraces the boho handmade style of the ’60s and ’70s. 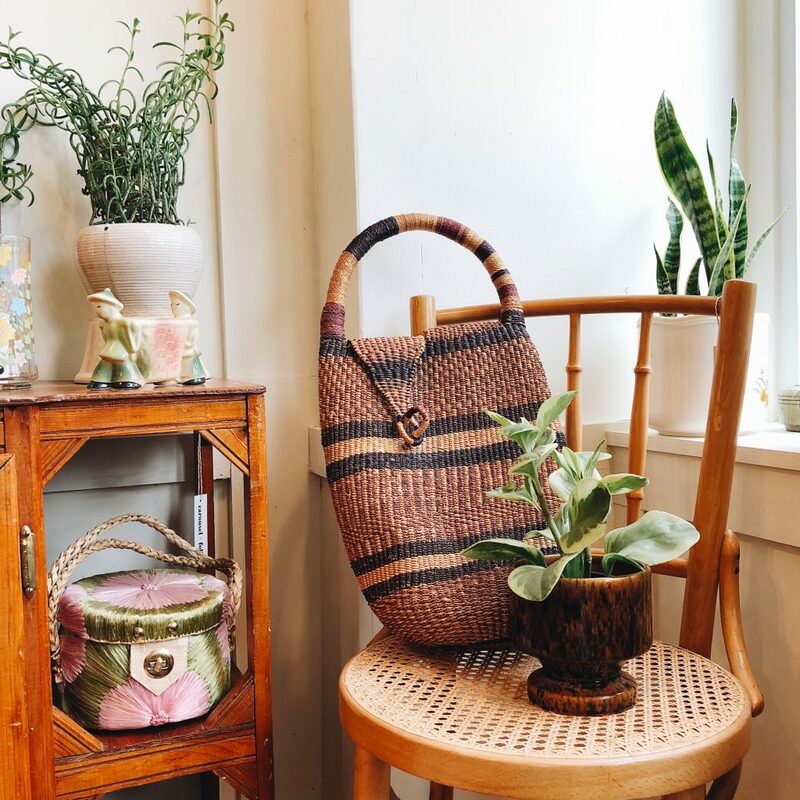 That might be because of the magic she works by repurposing everyday items—witness the basket wall, an ever-changing display of rattan, wicker, and wood artfully arrayed over a sofa—and capturing her stylishly curated moments on the shop’s Instagram feed. “Probably nine out of 10 people who come in say they found us that way,” she says. 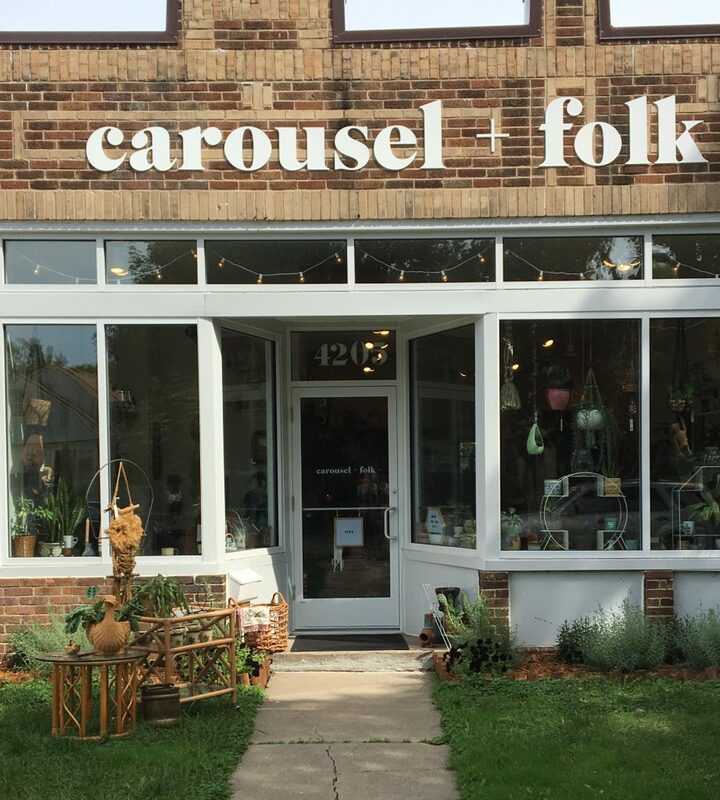 Some shoppers are already familiar with Carousel + Folk from Etsy. 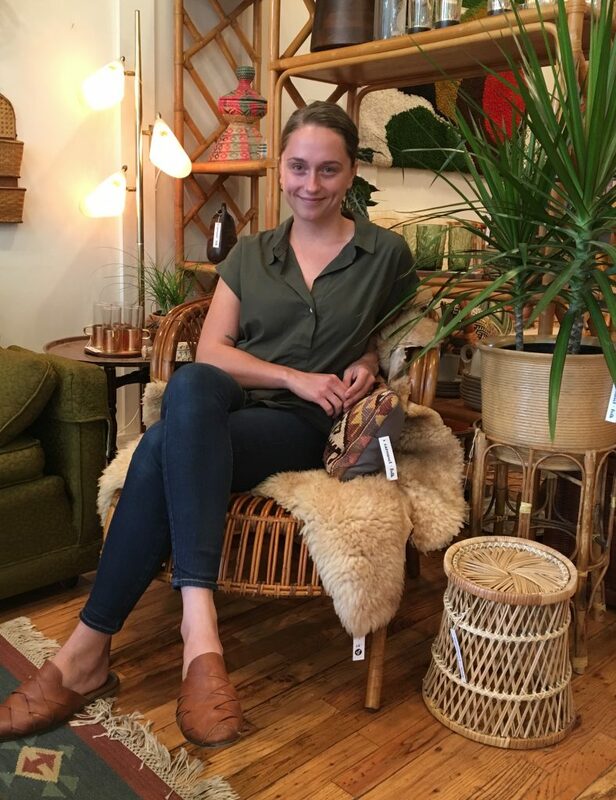 Lindsey and her cousin started the vintage business as a side gig nearly a decade ago, when she was in college at Columbia Arts College in Chicago. 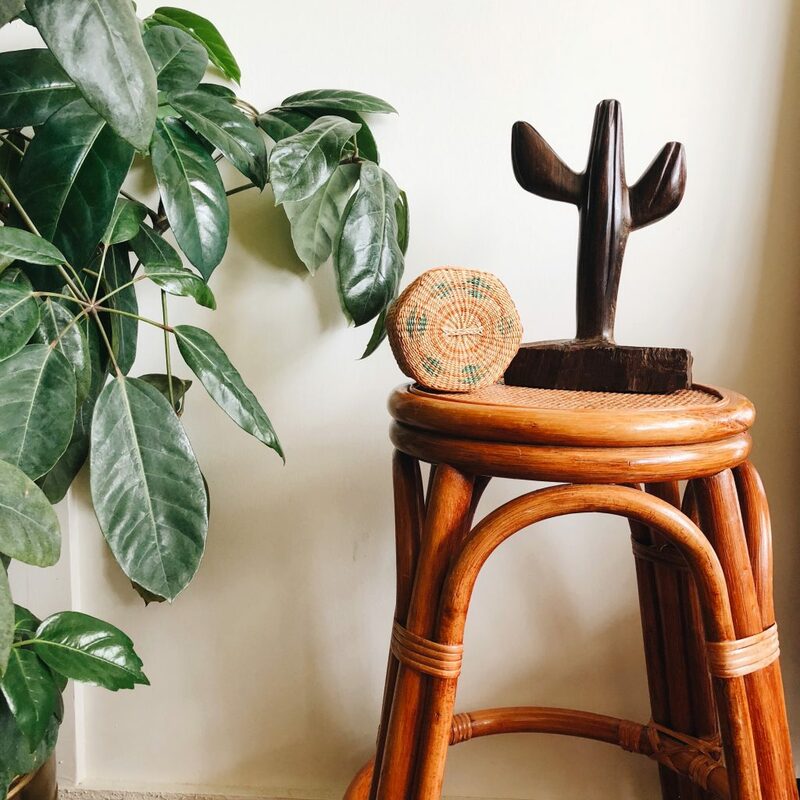 Though she studied graphic design and loved branding, she eventually discovered her real passion: antiquing and thrifting. 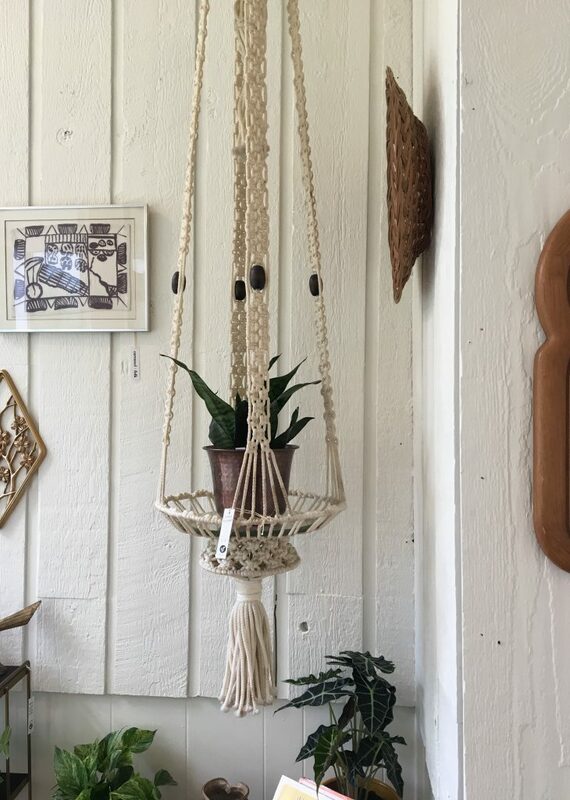 Husband Mike shares her love of antiquing and repurposing, so the Casons kept Carousel + Folk thriving on Etsy, selling vintage home decor, furnishings, typewriters, and curiosities. They also were vendors at Junket, the now-closed shop in the Minnehaha Mile area, as well as SouthSide Vintage & Quality Goods. All the while, they were on the lookout for a storefront for their own occasional shop. 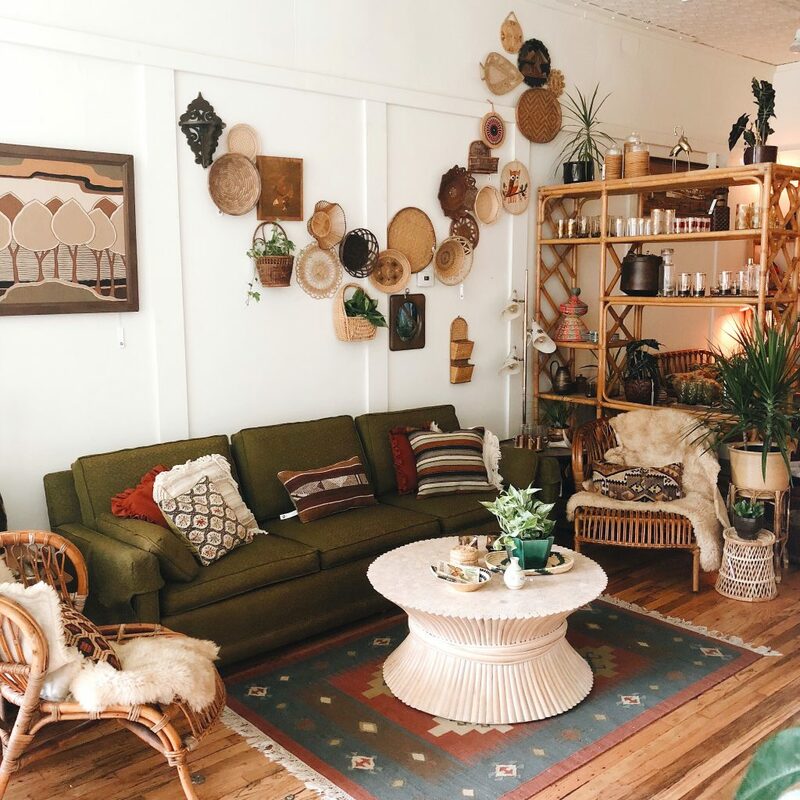 They’d planned to be open perhaps once a month, but when they came across the space on 42nd and 31st Avenue in South Minneapolis, serendipity intervened. “We both took a huge jump and quit our jobs. And I’m so happy that we did! We share the passion together,” Lindsey says.